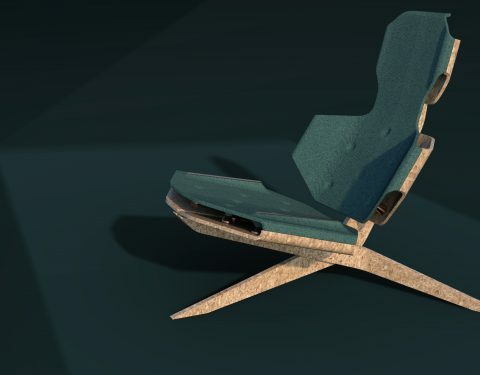 Chair #No.2 is a lounge chair is the result that came out of a short personal project. I used this project to do some color and trim research. 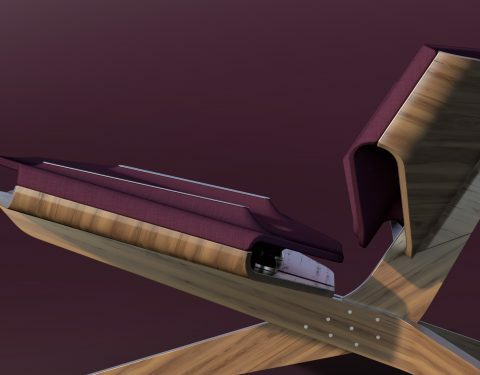 The wooden frame with machined aluminum supports are prominent in all versions, although the kind of wood and color of the anodized aluminum differs. In total there are three versions: The Dark Fuchsia, The Translucent and The Deepsea. 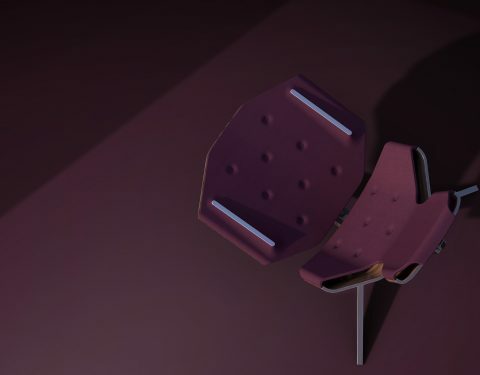 The idea is to give the same chair 3 different characters, from sophisticated, to modern and rough and playful. 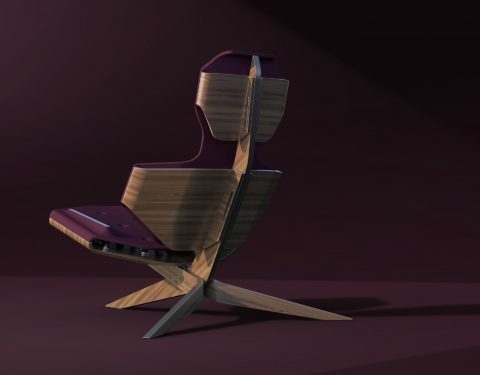 The Dark Fuchsia features conventional materials with walnut veneer on the wooden parts, satin silver anodized accents and a seat made of dark fuchsia colored fabric. The Translucent features dark Ebony wood veneer combined with orange anodized aluminum supports. 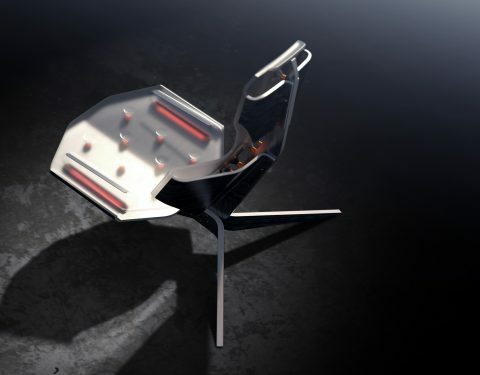 The seat is made of a translucent rubber-like flexible material, so the whole structure behind is visible. Giving the whole a more high-tech feeling. The Deepsea is named after its sea-green color. 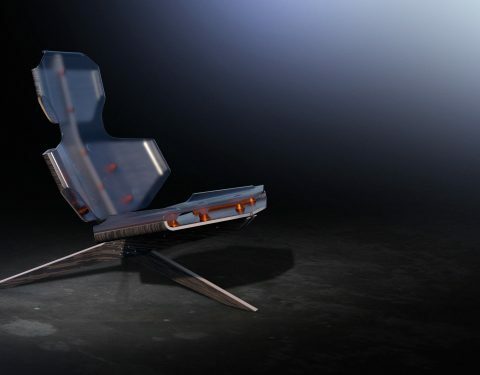 What is special about this seat is that most of the materials are recycled. 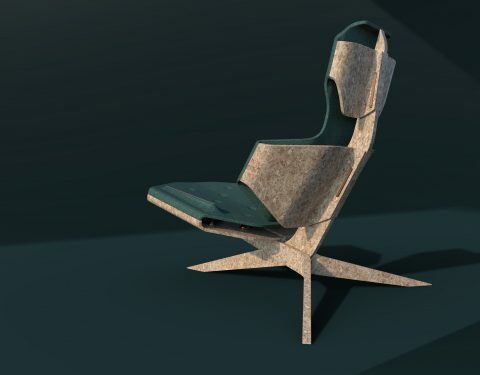 The fabric is made of recycled polyester fabric and the wooden frame is made from recycled plywood giving it a rough but playful character.